Beef noodle soup is a Chinese and Taiwanese noodle soup made of stewed or red braised beef, beef broth, vegetables and Chinese noodles. It exists in various forms throughout East Asia and Southeast Asia. Beef noodle soup was first created by the Hui people (a Chinese Muslim ethnic group) during the Tang Dynasty of China. In the Overseas Chinese communities in North America, this food can be found in Taiwanese and Chinese restaurants. In Mainland China, a large bowl of it is often taken as a whole meal with or without any side dish. In Taiwan, vendors that sell beef noodle may also have optional, often cold side dishes, such as braised dried tofu, seaweed, or pork intestine. Beef noodles is often served with suan cai (Chinese sauerkraut) on top, green onion, and sometimes other vegetables in the soup as well. In Chinese, “牛肉麵” literally means “beef noodles”. 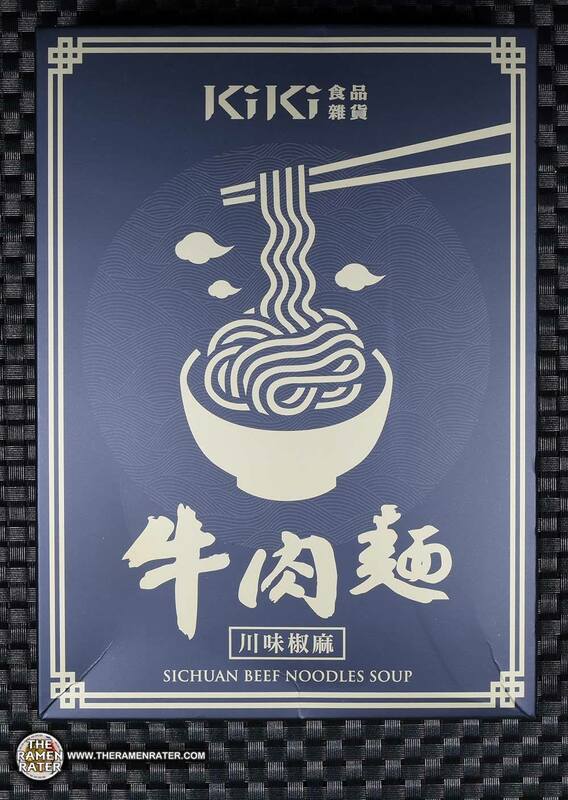 Mainland Chinese and Hong Kong restaurants may have a tendency to distinguish between “牛肉麵” “beef noodles”, and “牛腩麵” “beef brisket noodles”; with the former containing either beef shank or beef slices and the latter containing only brisket. It is sometimes served with wontons. In Taiwan, “牛肉麵” typically consists of either brisket or shank only, though many restaurants also have tendon or a more expensive option with both meat and tendon (“半筋半肉麵”, literally “half tendon half meat noodle”) and occasionally with tripe; 三寶麵, literally “three-treasure noodle”, usually denotes a bowl containing all three. If one orders “牛肉湯麵” or “beef soup noodles” in a restaurant in Taiwan, Mainland China, or Hong Kong, they might be given a cheaper bowl of noodles in only beef broth but no beef. If one orders a “牛肉湯” or “beef-soup”, they could be given a more expensive bowl of beef broth with chunks of beef in it but without noodles. In Tainan, beef soup (牛肉湯) denotes a distinct and local specialty, where sliced beef is blanched in hot soup and accompanied by shredded ginger. Beef noodle is often served as fast food in China, with Mr. Lee being the largest chain. In Taiwan it is sometimes considered a national dish and every year the city of Taipei holds an annual Beef Noodle Festival, where various chefs and restaurants compete for the “best beef noodle” title in Taiwan. However, some Taiwanese (particularly the elderly generation) still refrain from eating it. A traditional reluctance towards slaughtering precious cattle needed for agriculture, and an emotional attachment and feeling of gratitude and thanks to the animals traditionally used for very hard labour. 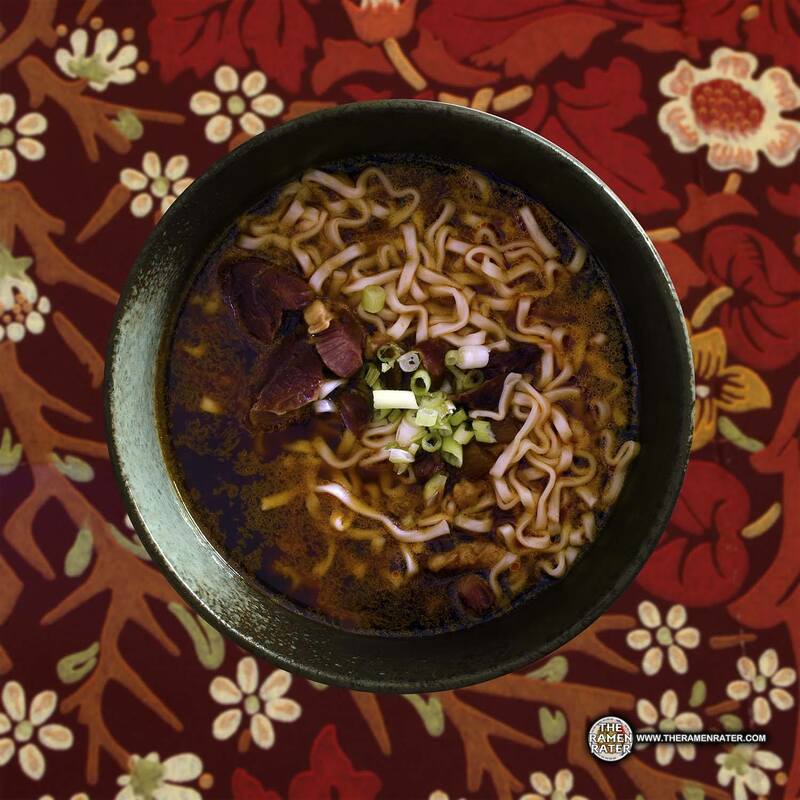 Due to influences from the influx of out of province Chinese from mainland China in the early 1900s, the Taiwanese version of beef noodle soup is now one of the most popular dishes in Taiwan. I’ve never reviewed something like this one before – let’s open the box and you’ll see what I’m talking about. Detail of the side panels (click to enlarge). Contains beef. 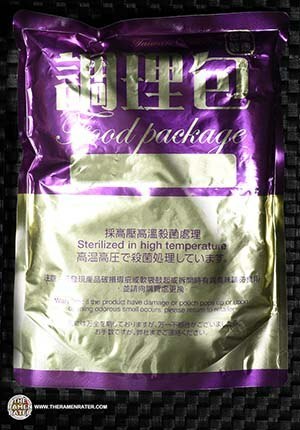 To prepare, open the beef soup package and pour into the pot, cook for 1 minutes with high heat. Cook the noodles in boiling water separately for 4 to 5 minutes with medium heat. Turn off the heat and drain the noodles. 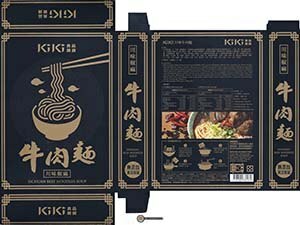 Finally, add noodles and beef soup into a bowl, stir and enjoy! 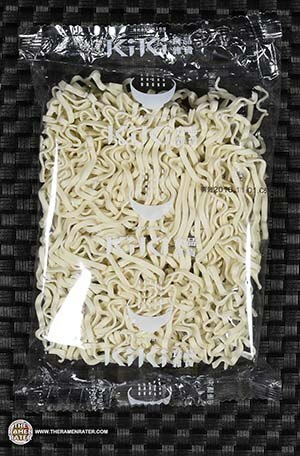 A package of dry noodles. Okay, so this is what makes this a lot different and unique from any variety I’ve reviewed yet. This is the soup. This is a very large package – you don’t add water, you just heat it and add in the noodles you’ve cooked and drained separately. Finished (click to enlarge). Added scallion. The noodles are very good – plentiful on quantity and excellent as far as quality. They had an almost squarish gauge and a very nice chew that I expect from Guanmiao. The broth is very complex – a lot of things going on here. A very tasty beef flavor has notes of herbs and spices – one being Sichuan pepper of course, but it was cooperative rather than a bully in the bowl. The beef and tendon was very good, and of good quantity, but I was left wanting more of it – which I think is natural as it’s quite flavorful. Impressed. 5.0 out of 5.0 stars. EAN bar code 4713302682039.